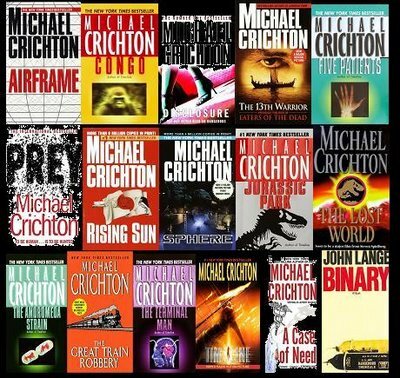 Last week’s poll: “The Crichton Collection“ has officially closed and the results are in with 40 total votes. Asking for your choice of author Michael Crichton’s books made to movie, it was a no-brainer that Jurassic Park would win. Twister spun into 2nd place and The 13th Warrior wasn’t cut down to last place…that spot was taken by Congo. Thanks to everyone that voted and get out there and see/read more of Crichton’s works! This week’s edition of ‘TVT’ entitled “The A’s Have It” takes a moment to celebrate the birthdays of Amy Adams and Andrew Garfield today. 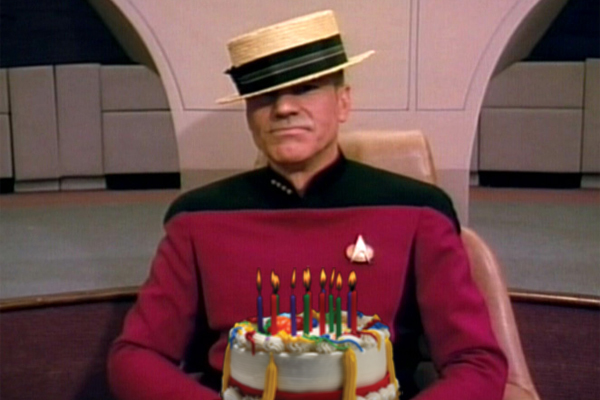 Captain Picard has a cake for you! Today are indeed the birthdays of Strawberry blonde starlet Amy Adams (39) and web-slinging Spider-Man Andrew Garfield (30). Amy Adams, born in Italy and raised in Colorado, used to work at The Gap and at Hooters before her career stepped forward in dance and was in productions such as “Brigadoon” in Boulder’s Dinner Theatre and Country Dinner Playhouse. A pulled muscle that benched her from dancing temporarily also made her free to audition for a part in Drop Dead Gorgeous. Kirstie Allie reportedly encouraged her to then move to Los Angeles for more work in television and saw limited success until Catch Me If You Can with Leonardo DiCaprio. This 4-time Academy Award nominee has been in numerous roles that include superhero girlfriends to singing princesses (she does her own singing, btw) and celebrates her 39th birthday today. Happy Birthday, Amy! 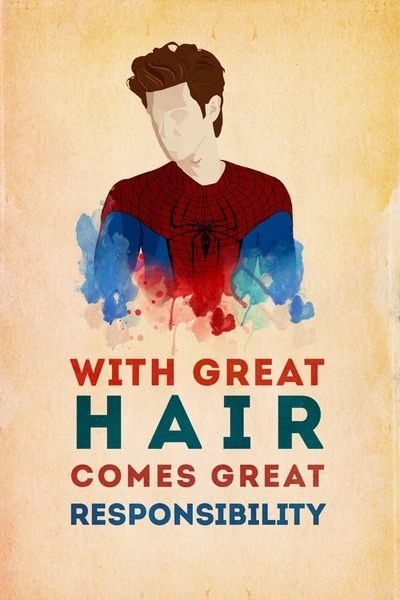 Andrew Garfield, born in Los Angeles, California and raised in Surrey, U.K. (born to a British mother and American father), went to private schools and studied drama, speech and theater from a young age. Dating Amazing Spider-Man co-star Emma Stone since 2011, Garfield stated that Spider-Man was always his hero growing up. He moved to Los Angeles in 2007. On the subject of the roles he gets, he’s been quoted as saying: “I hope that I have to audition for every single job I want. I hope that I’m always struggling, really. You develop when you’re struggling. When you’re struggling, you get stronger.” Today this Golden Globe Award nominee celebrates his 30th birthday. Happy Birthday, Andrew! Today is also director David O. Russell‘s birthday (55). He directed Amy Adams in The Fighter and also directed Silver Linings Playbook and the upcoming film American Hustle. Happy Birthday to them all. up next: Review for Lee Daniels’ The Butler and more reviews for The White Sands International Film Festival! Previous Movie News Monday for August 19, 2013. Awesome double polls! I went w/ The Fighter & Enchanted for Amy (though I’d also pick Junebug) and Never Let Me Go & Social Network for Garfield. He looks sooo handsome in that photo! And yeah he definitely has GREAT hair, even up close at Comic-con after he took off his Spidey face mask, he didn’t have helmet hair, ahahaha. Thanks Ruth! Glad you had fun voting. I haven’t seen Junebug but with some of the other comments about it I have added it to my list of must see films. Oh man, Never Let Me Go was something else wasn’t it? funny that both of the bday people on the polls are known for their hair. 🙂 Thanks for voting my friend. So glad you got to see Andrew G in person. I’ve always liked Amy Adams. My favorite roles are her ones in The Master and The Fighter. Amy Adams is one of my faves as well. Thanks for voting. She was quite surprising in The Master. I had to go with The Fighter and Julie & Julia (not listed). Julie & JUlia was the first movie I took notice to Amy Adams. I loved her in this role, and I thought she was kicka$$ in The Fighter. haha. I forgot you weren’t too impressed with Garfield as Spider-Man. You’re right…he’s my guy. But I still got love for ya! 🙂 Thanks for voting. Glad this week you were able to. Garfield does have great hair, Picard not so much. Didn’t Amy Adams get an Oscar nomination for Junebug? I remember watching that DVD just to see her performance before she became a big star. haha. Picard’s hair is awesome! LOL. yes, Adams was nominated for Junebug. Great job. I still haven’t seen that one and need to. Thanks for voting and commenting. Always glad to see you here. I really enjoyed Amy Adams in The Master and The Fighter. For Garfield, the only thing that he has impressed me with is The Social Network. But I have yet to see the latest Spider-Man. Thanks for voting Eric. Glad that you joined us. Garfield was fantastic in The Social Network. you should watch Never Let Me Go. Amy is amazing is she not? ha. Ooh, I like to hear someone who liked The Amazing Spider-Man and also that it drove you to watch Never Let Me Go. What a performance there too! Thanks for voting Kim. Glad it was fun. Appreciate ya being here.